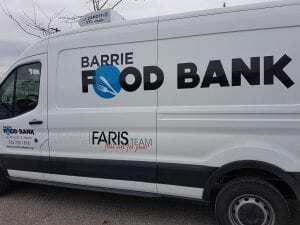 The Barrie Food Bank recently received a cool donation from the Faris Team Realty Brokerage. 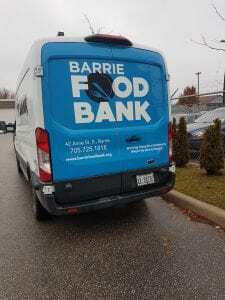 Mark and Joanna Faris of the Faris Team handed over the keys to a new refrigerated van which will allow the Barrie Food Bank to pick up fresh and frozen products from various grocery retailers in Barrie. So far the food bank is picking fresh produce up 3 times per week from Costco in the south end and frozen meats from the north end Walmart. Other grocery stores have also expressed interest for the future. Watch for our new van around town.